1861. $100. PCGS. VF-35. CT-13/55. 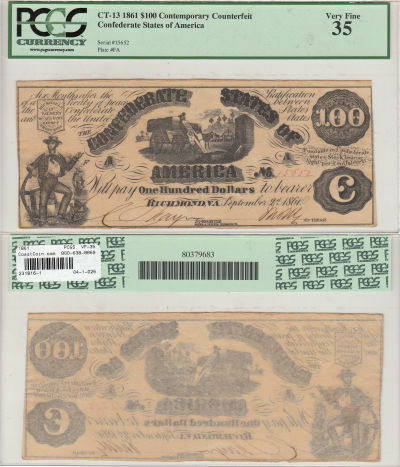 A scarce (R8) $100 Confederate States Contemporary Counterfeit. Serial Letters FA with written signatures and serial number.